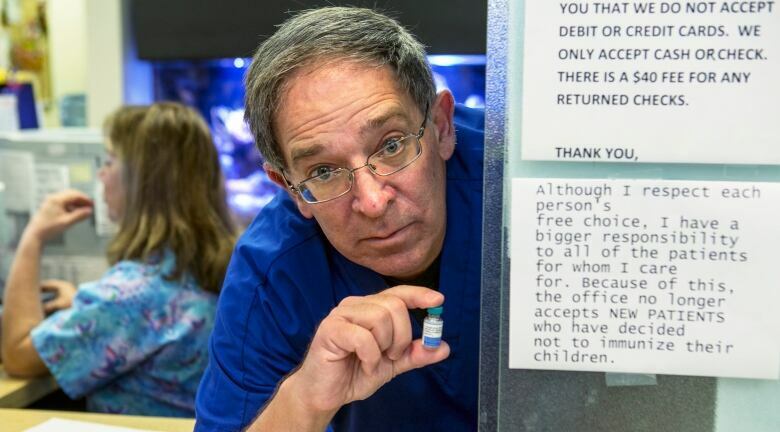 The tough-love approach — which comes amid the second-biggest measles outbreak in the U.S. at least 15 years, with at least 98 cases reported since last month — raises questions about doctors' ethical responsibilities. Most of the measles cases have been traced directly or indirectly to Disneyland in Southern California. The Canadian Paediatric Society also recommends physicians "not dismiss children from your practice because parents refuse to immunize." However, if the relationship between patient and doctor becomes unworkable, the U.S. pediatrics academy says, the doctor may want to encourage the vaccine refuser to go to another physician. The measles-mumps-rubella vaccine, or MMR, is 97 per cent effective at preventing measles, according to the U.S. Centers for Disease Control and Prevention. Measles spreads easily through the air and in enclosed spaces. Symptoms include fever, runny nose, cough and a rash all over the body. In rare cases, particularly among babies, measles can be deadly. Infection can also cause pregnant women to miscarry or give birth prematurely. All states require children to get certain vaccinations to enrol in school. California is among 20 states that let parents opt out by obtaining personal belief waivers. Some people worry that vaccines cause developmental problems, despite scientific evidence disproving any link. Others object for religious or philosophical reasons. Nationally, childhood measles vaccination rates have held steady for years at above 90 per cent. But there seem to be growing pockets of unvaccinated people in scattered communities, said Dr. Gregory Wallace of the CDC. In recent years, nearly all U.S. measles cases have been linked to travellers who caught the virus abroad and spread it in this country among unvaccinated people. Northern California's Marin County has a high rate of people claiming personal belief exemptions. 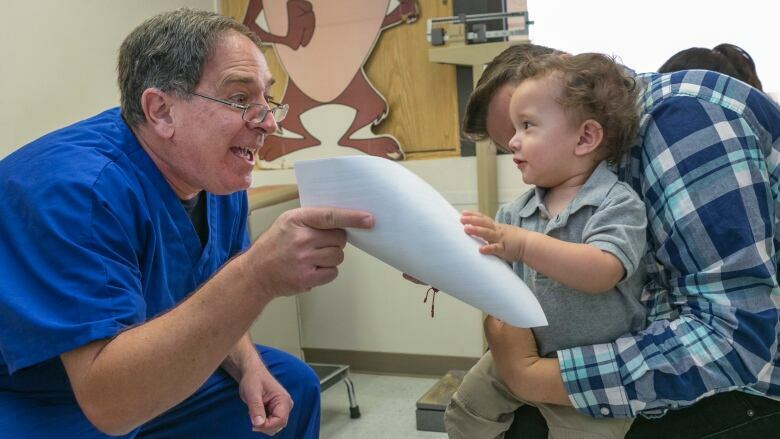 In 2012, Dr. Nelson Branco and his partners at a Marin County practice started turning away toddlers whose parents refused to make sure they received the measles vaccine.